Venezuelan nationals and foreign nationals seeking legalizations in Venezuela are advised not to travel to Venezuela until at least May 20, 2018 due to the following circumstances: •	The Ministry of Foreign Affairs is not accepting document legalization requests until May 20 due to website maintenance; and •	The upcoming presidential elections may further delay the legalization process. Venezuelan and foreign nationals cannot obtain legalizations in Venezuela until at least May 20, 2018. The website for the Ministry of Foreign Affairs continues to be inoperable. Previously, Fragomen advised that the only workaround to obtain legalizations was for foreign nationals and Venezuelan nationals to appear in person at the Ministry and present evidence of upcoming travel. The upcoming presidential elections, which may further delay the legalization process. Venezuelan and foreign nationals who have already arranged to travel to Venezuela for legalization purposes during the week of May 15-20 should reschedule their trips. Venezuelan and foreign nationals planning to travel to Venezuela between May 15-20 to obtain legalized documents in person should postpone their travel until Fragomen advises them that the legalization process is normalized. 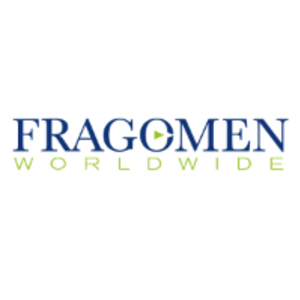 Fragomen will contact affected nationals and will provide updates when new information becomes available.